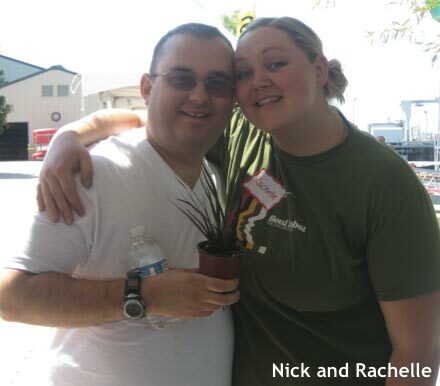 Nick’s Supported Living Services (SLS) began with Creative Living Options (CLO) in 2003 when he began looking for a way to expand his world. He had been living with his parents in Sacramento and although he was looking for a way to claim some independence he wasn’t interested in doing so in a group setting. When Nick first interviewed me we discussed what his life might look like if he were to choose SLS through our agency. At that time our office was decorated in a bright colorful motif. When I came out of my office to meet him he was sitting on our bright yellow sofa covering his eyes with his hands. He explained that he didn’t see how he could choose our agency because he doesn’t like primary colors. I explained to him that if he had SLS this isn’t where he would have to live. In fact, he would not only choose where he would live but how he would live and would interview and hire his support staff with help. We talked about the fact that he would decorate “his” home any way he chose to. He then told me he was relieved because he is an artist and liked “muted ethnic tones”. As our discussion continued Nick said he was beginning to realize the options that might be available to him if he truly had a say in the decisions involving his life. He told me he actually would like to live “in a mansion in the tropics” if he had his choice. We were then able to discuss the realities of managing our lives which, for all of us consists of dreams balanced with practical living including money management. After over six years of living in his apartment with supports Nick continues to expand his world. Most recently after several interviews Nick selected another man that receives regional services to share his apartment. This will allow relief to his budget as well as offer additional companionship. They moved recently and are getting comfortable in their new surroundings. Nick and his team continue to discuss his dreams. Nick has a passive approach to life and an easy-going demeanor. 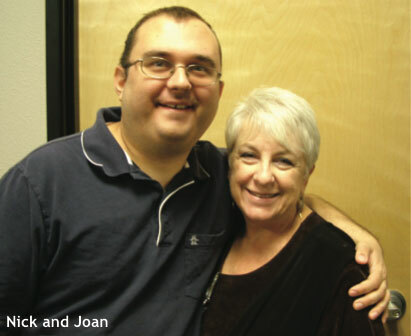 He and Rachelle Upton, his Community Support Facilitator have found it productive to use the outcomes derived from essential lifestyle planning processes to insure that his services are person centered. For those that might not be familiar with this process, Nick meets regularly with his team and together they gather information that is important to him. This then allows all decisions regarding Nick’s life to be planned and developed around his preferences and choices. It’s difficult to imagine how different Nick’s life would be without the opportunities that SLS has offered him. He is a sketch artist and movie buff and enjoys occasional visits to Starbucks. 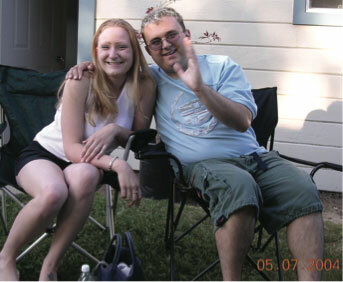 Having dealt with a diabetic condition over the last several years, he has been interested in taking care of himself. He has recently lost almost 20 pounds and is proud of the fact that he has been able to discontinue his diabetes medication. Nick has a humorous side and a vivid imagination yet is clear about his life dreams. He talks about Italy and Africa and has said “I’d like to go there someday—just to visit, not to live there”. For now, though, his fascination with diverse cultures will have to be satisfied through books, videos, and television. “ ...Heritages like Mediterranean, Italian, Sicilian, Greek; I like Chinese, Japanese, Indian, Middle Eastern, Native American Indian, Egyptian, Hebrew, and all that. Korean, Indonesian, Pacific Islands. All of those.” Nick explains. His adventurous spirit extends to food. He lists his favorite Chinese restaurants, “China Star, Mandarin, White Swan,” where he relishes “general chicken, sesame chicken, Peking ribs, egg rolls, pot stickers, that kind of stuff; also Japanese, Asian, Middle Eastern, Mexican, African, Mediterranean,” he says. Tropical islands top the list of Nick’s dream destinations “I would like to go, if I could afford it—I don’t know about my finances—but I’d go to Hawaii on vacation, or the Bahamas, the Caribbean, or Jamaica, or someplace like that. The nice, crystal-blue water. The ocean.” he says. After discussing this with his team and putting a plan together Nick was able to save his money and enjoyed a wonderful trip to Hawaii. An extensive collection of videos is housed in Nick’s living room, which sparks another one of his dreams. “I like animation. Disney, Miramax, Touchstone—Touchstone is Disney—I can’t remember the rest. Universal, there’s another one; Century Fox is one,” he says. “I have some really neat movie ideas that I’m wanting to make. I’d want to do an animated film about flamingos. The title’s called ‘The Blue Land Marshes.’ There are other movies I want to make like ‘The Little Merman.’ Other cool ones I want to make like ‘The Queen of the Maharajah’ and ‘Sacagawea.’ But I guess it’s a hard business to get into,” he concludes. Most recently Nick is proud to say he applied for and secured a part time job as a paid office assistant. Everyone that knows him would agree that he works hard and has attained great success. When we first met him six years ago this was not something that seemed realistic to Nick or to his team. Nick has experienced the challenges as well as the accomplishments that living in the community presents. However, I’m confident that I can speak for Nick and his team when I say that choosing SLS has certainly resulted in an expanded life for him.